Did you know that timing belts are a common cause for vehicle breakdowns? Timing belts helps your camshaft open and close engine valves. When your timing belt is damaged your vehicle is in danger of a much more costly repair. Timing belt damaged can result in engine vibrations and unnessicary wear and tear. Unrepaired or unmaintained timing belts can cause serious engine damage. Protect your vehicle’s engine with our timing belt service. We’ll have your vehicle driving better and safer with a newly repaired or inspected timing belt. Timing belts are constantly moving whenever your engine is running. This generates a tremendous amount of wear, and can completely wear out your timing belt within 80,000 miles of when it was brand new. There are many different systems that depend on your timing belt functioning properly. Often a car will have the water pump that functions as your engines primary cooling system run off your timing belt. Another common system run off the timing belt is the timing system that ensures your valves open and close at the proper time. If your timing belt breaks because of neglect or over use, it can seriously damage these other systems that it regulates, and cost countless thousands of dollars more than if you had just had your timing belt replaced at the manufactures recommended time. Don’t let your timing belt neglect find you stopped in the middle of the road. 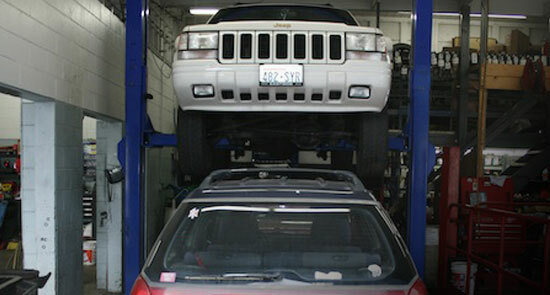 Bring your car to the Car Clinic and Trucks Too and let us inspect your timing belt. We’ll make sure that it is in good order and won’t let you down, or we’ll replace it for you. Don’t take risks with something as critical as your timing belt. Make sure you take care of it so that it will be around long enough to take care of you.